Firm release dates? Day one games details incoming? 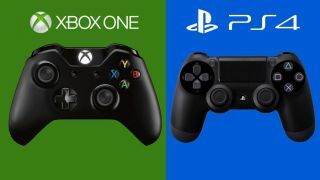 Microsoft and Sony have set the stage for the next round of their next-gen console battle, with both companies confirming press events on the eve of the Gamescom expo in Germany next month. The Sony PS4 and the Xbox One will make their official European debuts at the annual event in Cologne, with the two gaming giants both inviting the media come attend conferences on August 20. According to reports, Microsoft's one-hour event could offer a firm release date, beyond the 'November 2013' window. and may offer clarification on much of the Xbox One's fine print, in light of recent confusion. Microsoft will also reveal more about its plans to allow indie developers to self publish their games in its first ever press conference at this particular event. On the other hand, Gamescom veteran Sony has confirmed its event will take place on the same date at 6PM UK time (1PM EDT). Excited gamers will also be hoping for a firm release date beyond the 'Holiday 2013' window they've known since February. Potential buyers of both consoles will also be expecting firm details of the games available on launch day, and perhaps the odd surprise too. Have you chosen sides in the next-gen console war? Let us help you out with our Xbox One vs PS4 showdown.